PiB is a curated, bilingual platform for fine art & documentary photography in Berlin. Since 2015, PiB’s bi-monthly print issue – the PiB Guide – presents handpicked exhibitions & events from Berlin’s vibrant photography scene – such as exhibitions, workshops, artist talks, photobook launches & more. 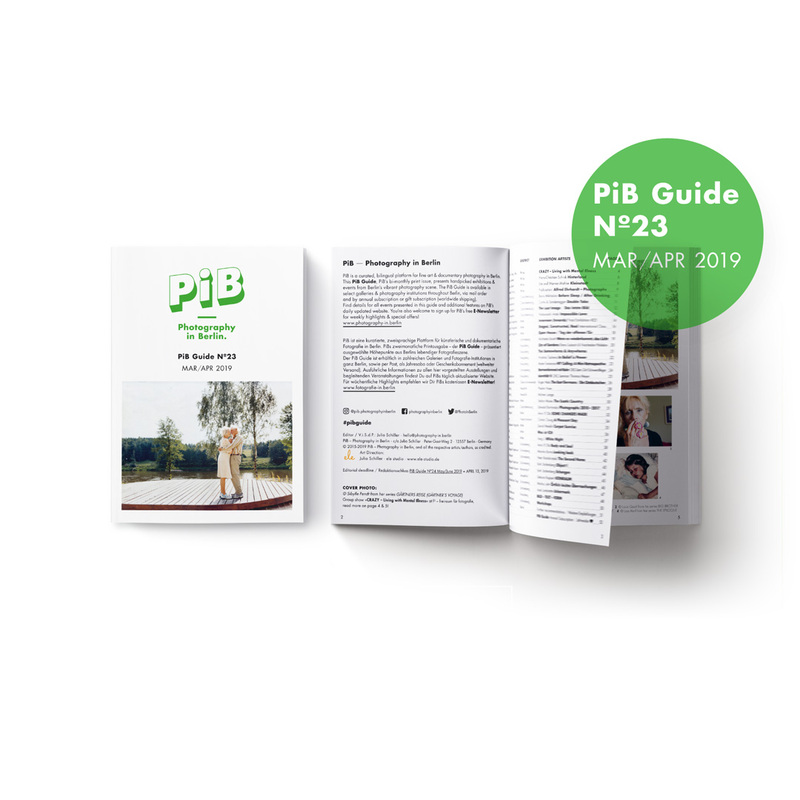 Ranging from exhibitions & events by established institutions and galleries to independent project spaces or pop-up-initiatives, the PiB Guide provides a useful resource for all art & photography enthusiasts in Berlin – or for everyone visiting Berlin! 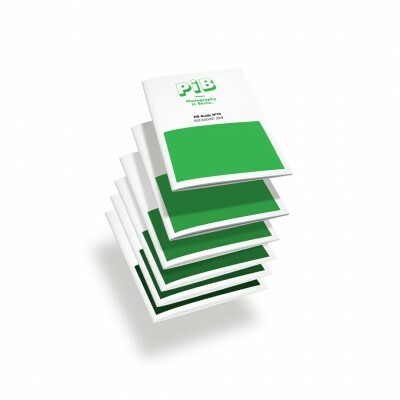 The current PiB Guide Nº23 Mar/Apr 2019 has been published as an A6 booklet / 52 pages / numerous color illustrations / with texts in English & German. Please select the according option (within or outside of Germany) above. Note: If you order from outside the EU, please provide a personal shipping address instead of a company’s address (for tax reasons), thank you. Payment is possible directly via PayPal, or on account & bank transfer within 14 days. Your invoice will be attached as a PDF in your order confirmation email.